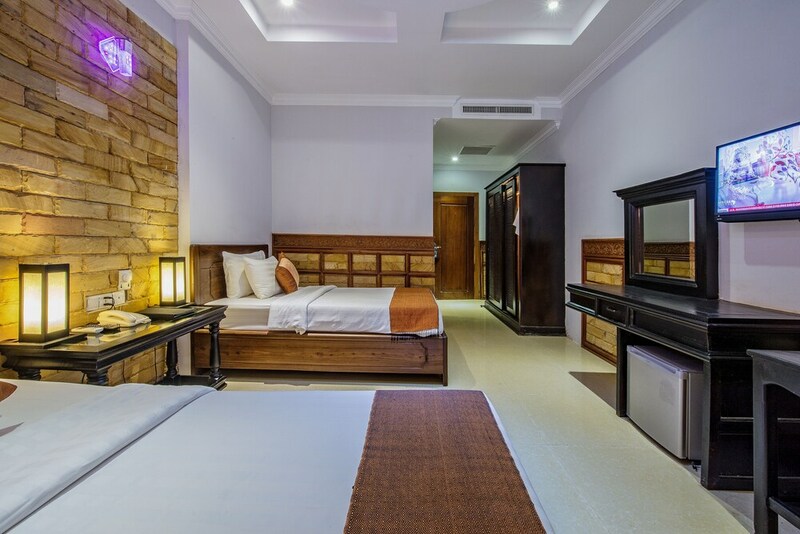 Seasons D'Angkor Hotel is centrally located in Siem Reap, walking distance from Angkor Night Market and close to Pub Street. This spa hotel is within close proximity of Lucky Mall Super Market and Psar Chaa Market. Make yourself at home in one of the 15 air-conditioned rooms featuring minibars and LCD televisions. Complimentary wireless Internet access keeps you connected, and cable programming is available for your entertainment. Private bathrooms with shower/tub combinations feature rainfall showerheads and designer toiletries. Conveniences include phones, as well as safes and desks.